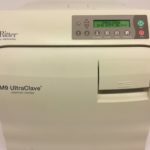 This is an overview of how to operate a Midmark M9 and M11 Autoclave through a proper sterilization cycle. Remember to always read the appropriate technical documentation before beginning. There you will find a complete list of instructions, safety alerts, and proper sequence of procedures. 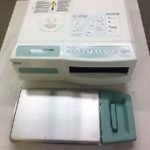 They are important to know before conducting any sterilization cycle, service, or maintenance operations. 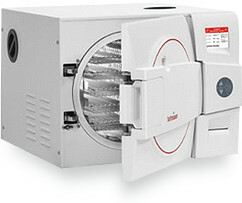 You will see that your Midmark M9 and M11 autoclaves have four pre-programmed cycles and two programmable cycles. The program cycles include: Unwrapped, Pouches, Packs and Handpieces. View each cycle’s parameters in the installation and operations manual. Always read specs to insure you know how to use the Midmark M9 or M11 safely and properly. 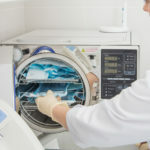 First verify that the Autoclave has an adequate fill of water and insure it has been loaded properly with sterilization items. Then you close and latch the door by lifting the handle and pushing the door closed. While pushing in on the door, slide the door handle down to engage the latch, the display will now show: ‘select cycle’. The sterilizer now waits for input from the operator. If the start button is pressed, additional heat shows on the display. This allows the operator two choices. They can either preheat the unit or extend the drying time on the previous cycle. Pressing the stop button will end the additional heat time. After pushing one of the standard cycle program keys, the display will show two alternating screens on the LCD display. 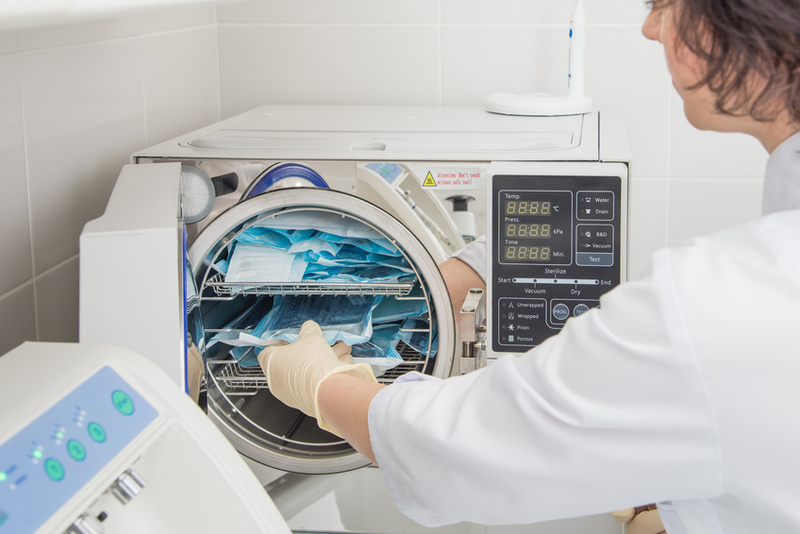 The first screen shows the name of the cycle, sterilizing temperature and the amount of sterilizing time. The second screen pauses briefly and then shows the type of venting to be used. The amount of drying time shows also. Now you just push the start button. “Filling Chamber” immediately shows on the display. Next the unit heats to the appropriate temperature. The display will change as temperature and pressure change in the chamber. 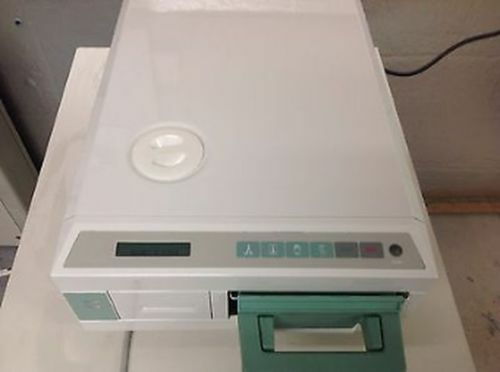 The sterilizer then reaches the proper temperature for the cycle. The display shows the time count down from the program time. The display also monitors the temperature and pressure. 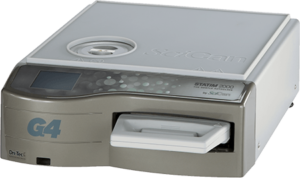 During sterilization mode the heater will cycle on and off. “Ready to vent” displays for 10 seconds just prior to the end of the cycle. Next the vent valve opens. The autoclave releases steam and water back into the reservoir. The display changes as temperature and pressure in the chamber change. An AUDIBLE SIGNAL sounds to indicate that the door is about to open. When pressure in the chamber reaches zero, the door actuates to a partially open position beginning the drying cycle***. 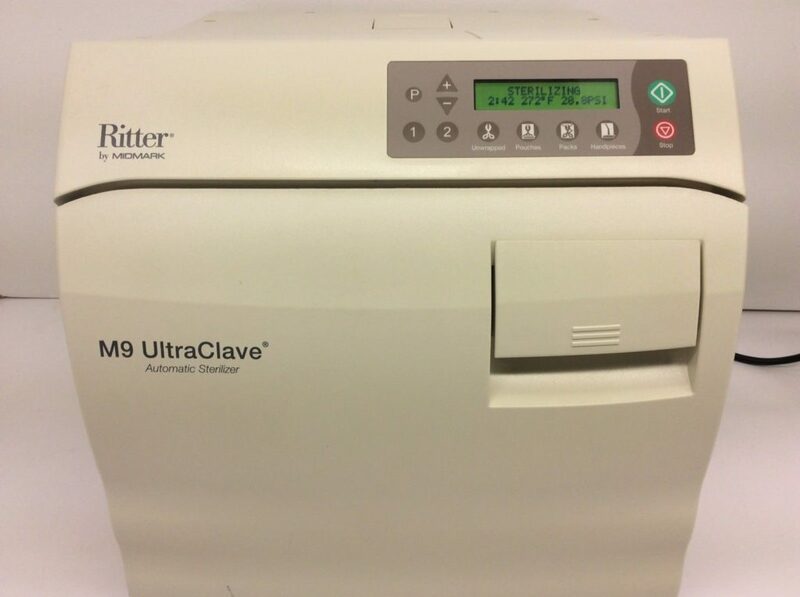 The Autoclave displays the amount of time remaining for the drying cycle and counts it down to zero. The end of the cycle brings a 10 second audible signal. The sterilization cycle is now complete. After sterilization is complete, all items must be handled in accordance with regulatory guidelines. ***NOTE: ALWAYS KEEP CLEAR WHEN THE M9 or M11 DOOR IS READY TO OPEN. FAILURE TO DO SO COULD RESULT IN SEVERE BURNS FROM STEAM BEING RELEASED! The process load and inner surfaces will be hot, avoid contact with these hot surfaces. Failure to do so could result in serious burns. Remove trays and cassettes using the Midmark approved trade cassette tool. Hold the tray level and slightly elevate it to prevent it from shifting and becoming dislodged. 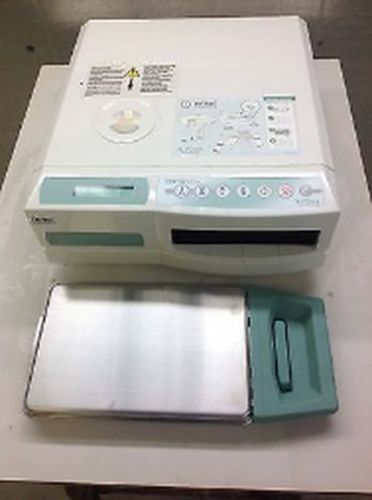 Unwrapped sterilization is not recommended for critical or implantable items. 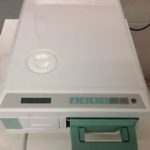 Unwrapped items should be transported immediately and aseptically from sterilizer to the point of use. Allow items to dry before handling or storage, and wrapped items may be stored before use. The storage area should be a closed or covered space away from environmental contaminants or wetness. Qualified personnel responsible for infection control should prepare a protocol for handling sterilized items. First the protocol should cover AT LEAST all the basics. Second everyone should read it along with the Midmark M9 and M11 Users Manual. Finally it should be followed by all personnel responsible for handling sterilized items. 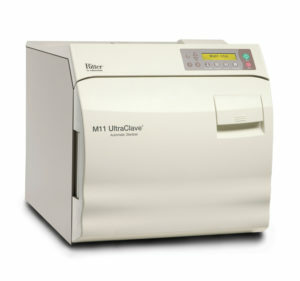 Please Contact Us Here with any further questions you may have on how to operate a Midmark M9 or M11 Autoclave.